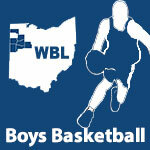 Basketball Boys – Page 2 – WBLSports.com | The Official Site of the Western Buckeye League for wbl news, wbl scores and wbl standings. Ottawa-Glandorf is ranked in the fifth weekly 2019 Ohio High School Boys Basketball AP State Poll. Ottawa-Glandorf is ranked 5th in Division III in the fifth weekly 2019 Ohio High School Boys Basketball AP State Poll. Ottawa-Glandorf is ranked in the fourth weekly 2019 Ohio High School Boys Basketball AP State Poll. Ottawa-Glandorf is ranked 7th in Division III in the fourth weekly 2019 Ohio High School Boys Basketball AP State Poll. Ottawa-Glandorf is ranked in the second weekly 2019 Ohio High School Boys Basketball AP State Poll. Ottawa-Glandorf is ranked 8th in Division III in the second weekly 2019 Ohio High School Boys Basketball AP State Poll. Ottawa-Glandorf is ranked in the first weekly 2019 Ohio High School Boys Basketball AP State Poll. Ottawa-Glandorf is ranked 6th in Division III in the first weekly 2019 Ohio High School Boys Basketball AP State Poll.